There are a variety of ways to send in "Crime Tips" to the Jones County Sheriff. You can Text, send it Online, or from your Android or iPhone. TipSoft SMS, short message service, is 100% anonymous through cloaking. No one will know the identity of the text tipster. The technology routes messages through a server that encrypts cell phone numbers before they get to police. The technology also allows investigators to securely reply back to the cell phone without compromising the tipster’s identity. Some of the advantages of text messaging includes being able to communicate in real time with texters. It also allows people to notify police when calling may not be feasible or safe. Texting a tip is easy. 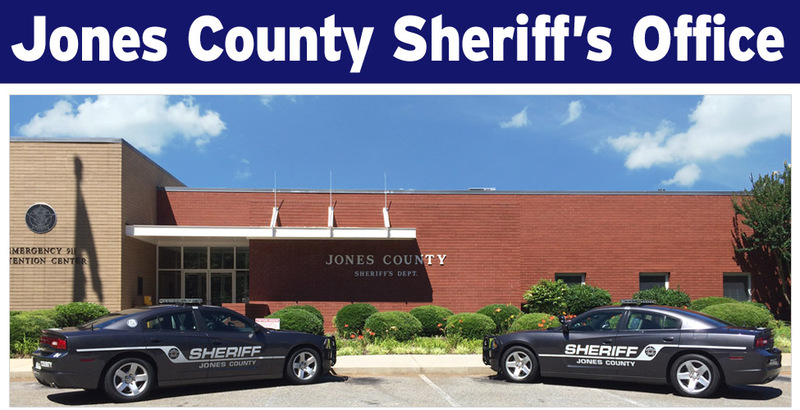 Citizens in Jones County can now use their iPhones® and Android™ based smart phones to send anonymous crime tips to the Jones County Sheriff's Office. For the first time, iPhone® and Android™ phone users can provide anonymous crime fighting tips, including smart phone photographs and video, to the Jones County Sheriff's Office. The service, called TipSoft, allows citizens to send anonymous tips online using a custom "App" from a mobile phone. Want to send your Crime Tip online? Just click here or on the Online Icon for more information. ©Copyright 2018, Jones County Sheriff's Office, all rights reserved.